Oil changes are a necessary part of maintaining your engine. They are what’s going to keep it lubricated and operating at maximum efficiency. 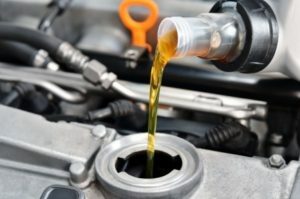 When you have bad oil, or poorly maintained oil, it changes the way your car works. It goes slower; it operates less efficiently, and it ends up taking in more gas. If you want to maintain the proper car, upkeep you need to buy an Aventura oil change. Aventura provides the best oil change service through us, AMS Jet Transmission! Our Oil Change is a Three-Part System: Flush, Replenish, and Test! Flush – When you are replacing old oil, you cannot simply dunk some more in there, you have to clean it out first. So when we drain all of the oil from the vehicle, we add a fluid flush to calibrate the lines again to the new oil properly. Replenish – Next, we will add in the new oil. We will find the best grade that works for your vehicle and the current mileage and replenishes with the proper amount of quarts until it is full. If it is part of your package, we will also include a new oil filter and make sure it is securely fastened and calibrated for your vehicle. Test – Next we need to make sure that it runs correctly, so we will run the car until it is nice and warm and make sure the oil is moving through the lines correctly and safely. This will ensure that you can drive the car off the lot without obstructions. There is a slew of services that we offer, not just your everyday oil change. Aventura is our home, and we make sure that we can provide the best services imaginable for them. If you would like to know more about our great products, services, or would like to schedule an appointment for you or a loved one, make sure to call us today!